Just like the physical location of your shop or office, your online one is important for your business. Showcasing your brand on the web is valuable for your business. Having online presence will help you convert visitors into clients. A huge percentage of people prefer taking informed decisions when they have to pay for goods or services. So, they are researching online before taking action. A good business website can help you drive more clients and raise awareness about what you do. When researching online, people like to find the information they need. Usually, the information they look for is location, type of services, prices, working hours, contact information and social media presence. Who? – Your or your business name. What? – What is that you do? Where? – The location of your showroom, shop or office. When? – What are your working hours? Why? – How’s your offer different from the others? Your website has to state who you are. Place your logo or name somewhere where visitors can see it right away. 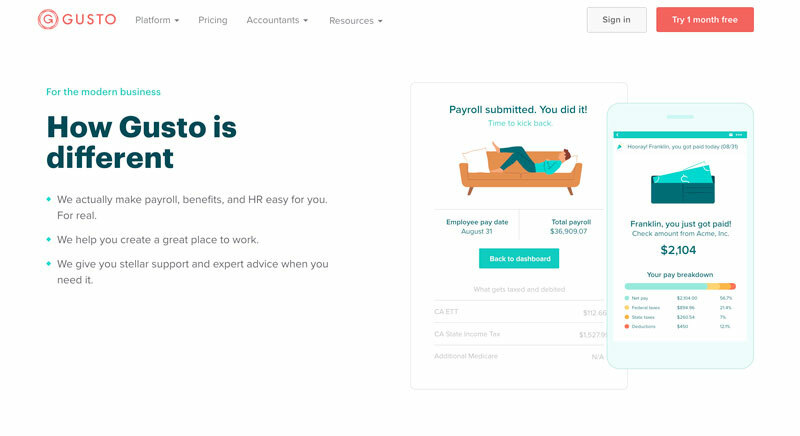 The usual placement is on the top left corner of your website. Also, make your logo tappable/clickable and leads to your home page. Online users are used to such behavior and they will expect your website to follow this simple UX guideline. Mobile users will appreciate it too. 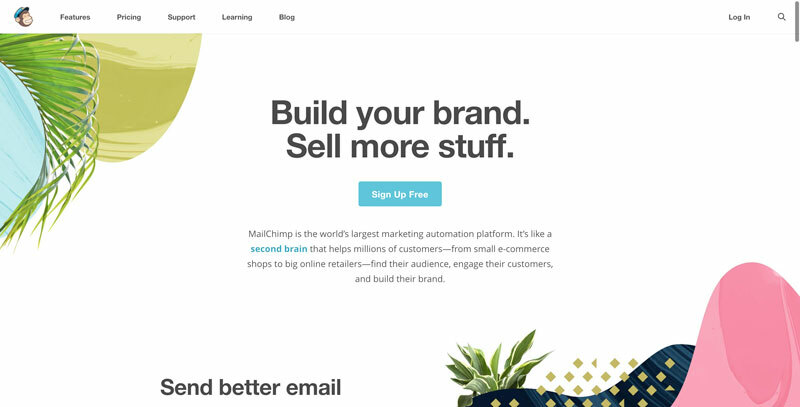 Mailchimp's home page is a great example of this UX principle. The logo is located on a prominent location, visible when the users scroll. When the users click on the logo, they are go back to the home page. On your home page, put a section stating what you do. Have also a dedicated page of detailed information about the products or services that you offer. 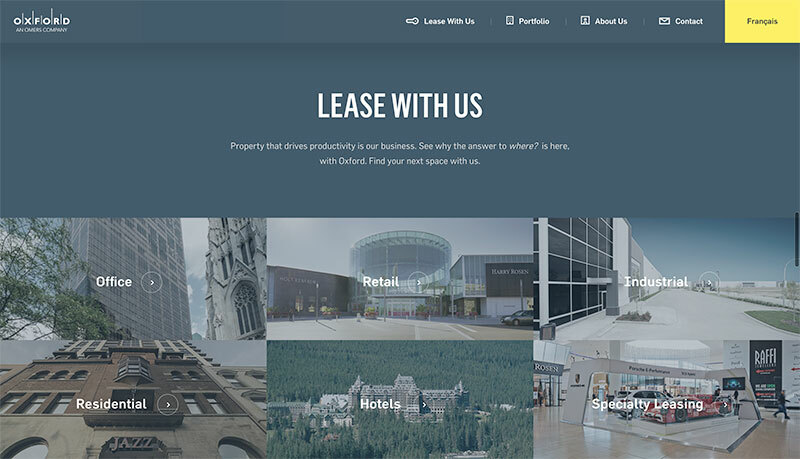 Oxford Properties Group has a dedicated section ("Lease with us") on their home page where they explain what is the service offered. A navigation item with the same name takes the users to a page with search options. Have a section on your home page with your location and address. People need to find straight away where are you located. Adding a map eases their wayfinding. 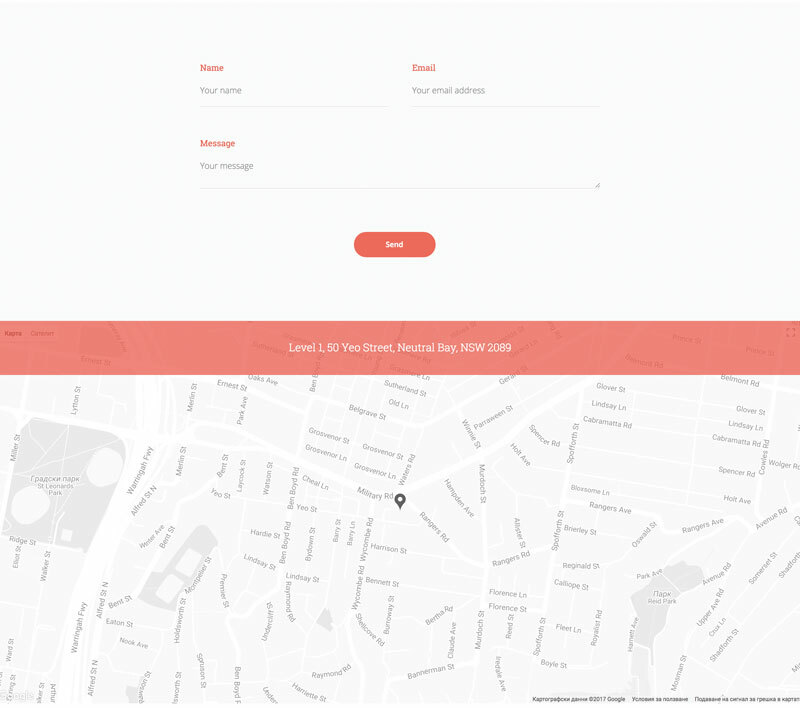 Riyo.io has a neat "Contact us" page which has a simple contact form and a location map with the address. The page has all the information that an interested user woud like to find. When they can visit you? On a visible place, state clearly your working hours. From personal experience, I know how frustrating is to try and find working hours of a company and not being able to find them. Not including such “minor” detail can affect negatively the perception of your business. At the footer area of their website, Brickhouse includes their working ours alongside with their address. Try to explain why people should choose you? How are you different from your competitors? Don’t put long texts with unnecessary information. Short is always better. Put some logos or testimonials from happy clients to support your expertise. 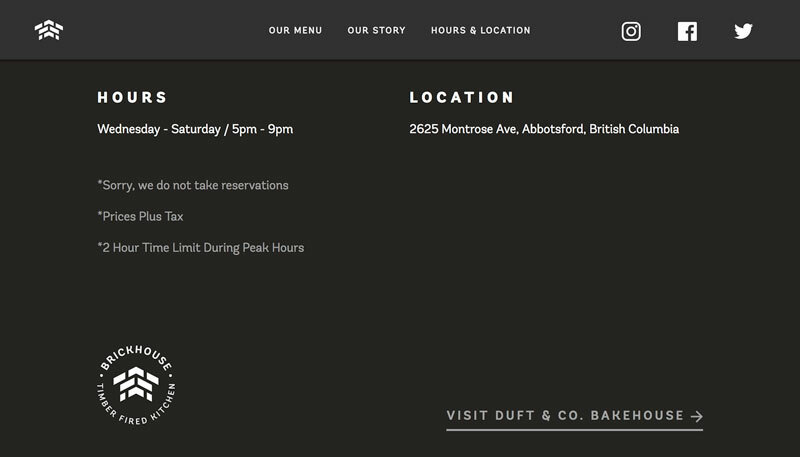 Gusto have a clearly organized section on their home page explaining in a list with bullet points why they are different from the others. Their aim towards open-minded modern business which just want to get the job done. Sometimes businesses forget or neglect to add important pages which visitors find very useful. Don’t forget that your website is the online presentation of you. You are showing your brand and the people behind it. Explaining who you are on a dedicated page together with team pictures and small bio text is very useful to users. They meet you virtually and it increases their trust in you. Adding a page with frequently asked questions (FAQ) section is a great idea if you need to explain more about your products or services. Users find it helpful and allows them to learn more about your company. Allow visitors to contact you quickly without filling in so much information in the contact form. A name and an email address is enough for first time contact. 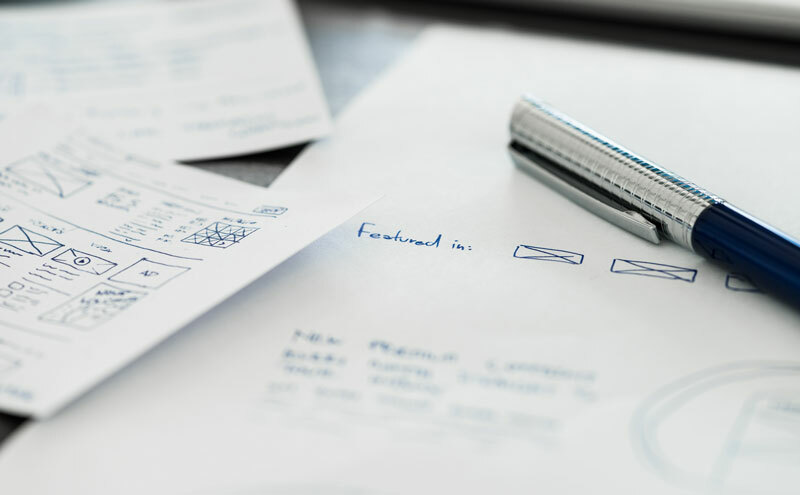 A short contact form is one that is likely to be filled in. On this very page, add also links to social media accounts like Facebook, LinkedIn or Twitter. People search for companies on social media and such presence is important to them. Show visitors who you are, the people behind the products or services. The "human element" is important to users as it makes them trust you. Finally, pay attention to colors, fonts, images and other aspects of your website. Consistent design is what makes a website look professional and presentable. Monitor the bounce rate and the speed of your pages. Good performance is crucial for a good business website. These tips may seem simple, ones that everyone knows but you can’t imagine how many times I have visited company websites which were missing an important component or two. Or have made the big mistake of not making logo leading to their home page. Little details matter to visitors. Using well-known heuristics, ones that users are expecting to see and interact with are part of the success of a great company website. Need help with your website? Contact us to talk now.